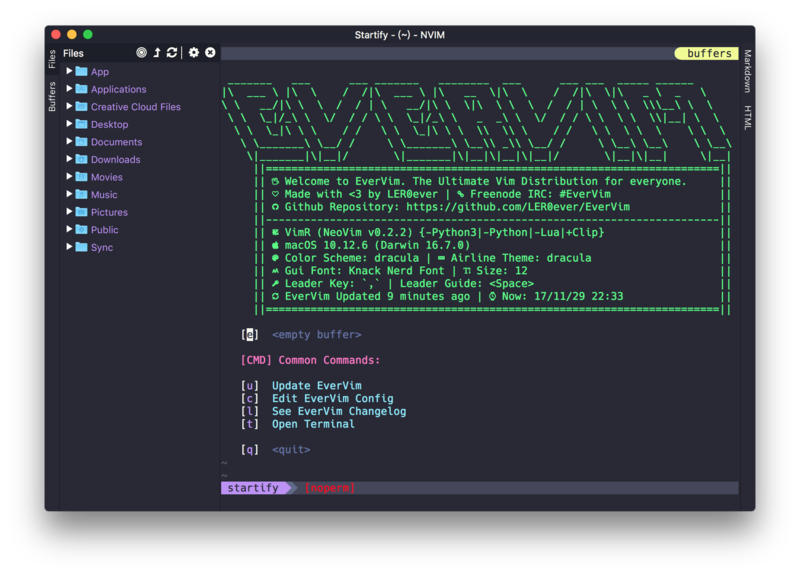 EverVim is the ultimate vim distribution that supports NeoVim, Vim, GVim and MacVim. It ships with tons of powerful features through vim plugins, which makes it easy to get started for both newcomers and experienced users. The distribution is completely customizable using a ~/.EverVim.vimrc Vim config files. Unlike other vim configuration such as spf13-vim, EverVim always keeps its modern features up-to-date. It uses Vim-Plug as a plugin manager, which is async and is about 10x faster than Vundle. Keeping your plugins always up to date is just a command away. Vim-Plug uses a plugin bundle so that having lots of them won’t mess up the folder structure. 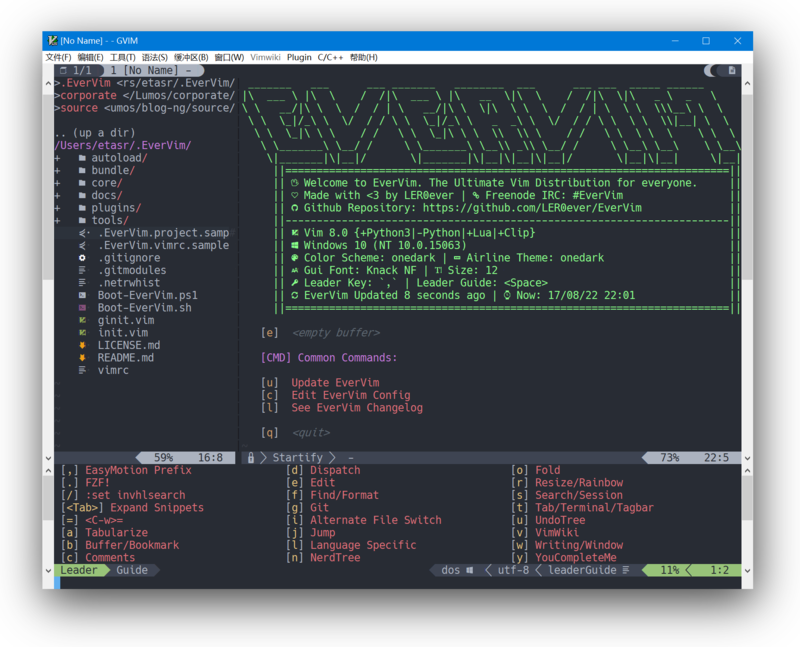 The default config of EverVim is powerful and easy to use just out of the box, and is suitable for most vim users. Customization is easy as well. With .EverVim.vimrc file, you can customize the whole collection without modify the original files. That means you’re still able to update the EverVim config using git pull without compromizing your own modification. Before you started, please read the Wiki to have an overview about some of EverVim’s essential keybindings and plugins. Make git, curl is on your system. Python is also needed for Linux. Ctags is optional but highly recommended. Press u at EverVim start screen. Configuration and plugins will be automatically updated. Easy to setup, just one bash away. Support fuzzy search for Files, Code, Git history, Help tags and much more. EverVim is licensed under Apache 2.0. See LICENSE.md for details.